As an artist whose interests include the influence of digital culture on the broader sphere of creative production, Guthrie Lonergan works with the Internet as a source material. Rather than merely limit himself to this realm or make work that is “about the Internet,” however, he positions his practice within the pervasive reach of today’s Internet culture, a culture that has shaped not only the production of contemporary art also but the conditions under which it is experienced and marketed as a creative industry. To create Built with Indexhibit (2016), which is available on the home page of the voting kiosks for the Mohn Awards and on the museum’s website throughout the run of the exhibition, Lonergan sourced text from just over one thousand artists’ statements, automatically culled en masse from self-managed artists’ sites that were built using the once ubiquitous web-portfolio platform Indexhibit. 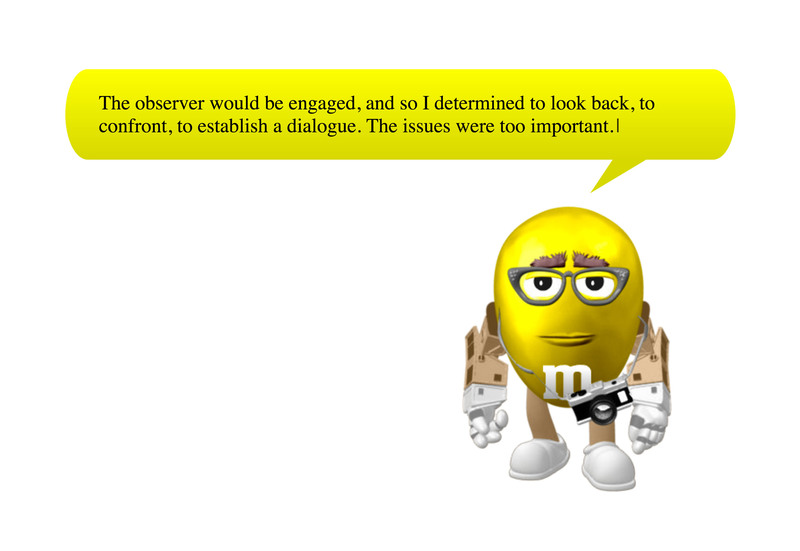 Through a web-based widget in the style of Clippy—the digital assistant made famous by Microsoft Office in the early 2000s—the statements are delivered by a cast of distinctive M&M figures, many designed by the now-defunct M&M Character Creator, which allowed users to produce a personalized avatar based on the popular characters from commercials for the candy. The characters and statements are randomly paired, and together they point to the packaging and self-marketing that have become integral aspects of artistic practice since the advent of the web. Produced in collaboration with Barefoot Music, a company that creates original scores and develops audio branding for some of the entertainment industry’s most popular and widely recognizable companies and television shows, Lonergan’s ambient audio works are tucked within the folds of the overall exhibition. The musical scores playing throughout the museum are original compositions and adapted sound tracks from Barefoot Music’s existing repertoire, developed by Lonergan with the company’s composers specifically for the context of this exhibition. Known for providing background and theme music for such notable television series as Top Chef, The Real Housewives, and the art world competition show Work of Art, Barefoot Music has contributed to one of the entertainment industry’s most ubiquitous, if sometimes overlooked, forms.